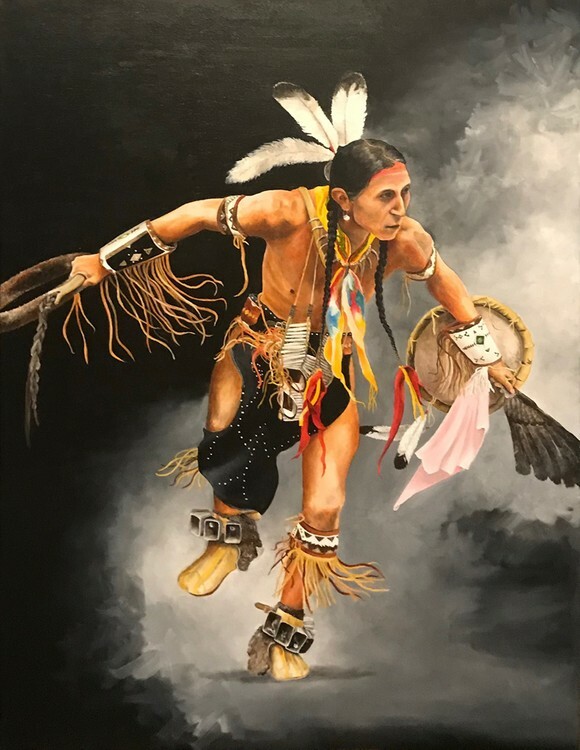 This is a painting of a Lakota Sioux that I saw at the Black Hills Pow Wow. Oil on canvas 40 in. x 30 in. You can feel the motion!